This is a great Hedgehog House ideal for most areas within the garden. Completely secure with good w.. This is an old favourite which we stopped doing for a while to make way for our newer tables, but we've reinstated this bird table based on feedback from our customers. 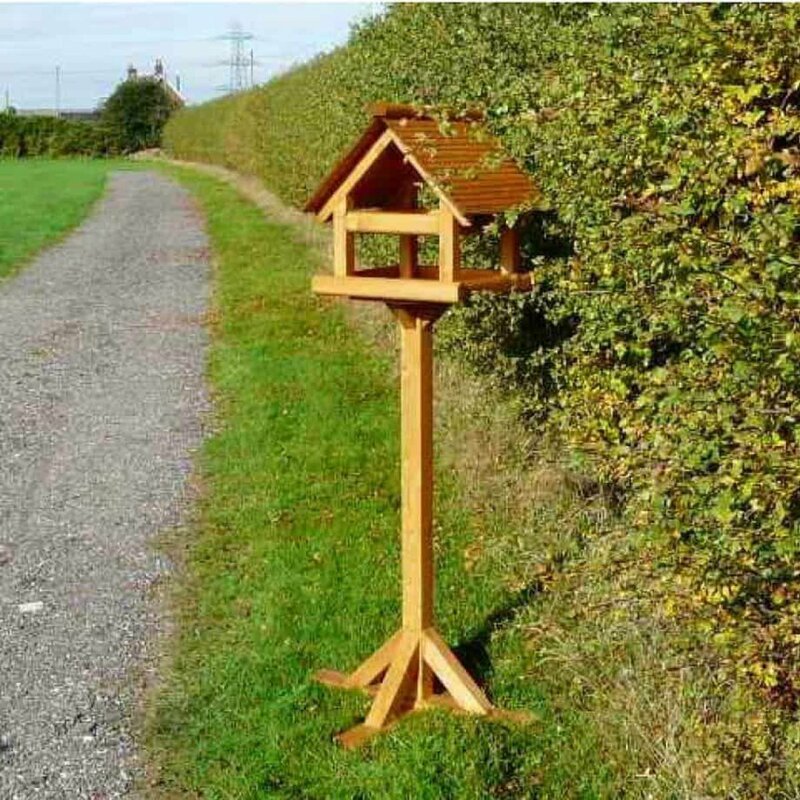 Its a large imposing bird table with simple but very functional design. Large open sides are ideal for the larger birds, and the two levels ensure there is enough space for all. The second level is cleverly placed just underneath the roof section. Please could you let me know if you can add engraving to your lovely bird table? In addition to out Medium and Large Bird Table Stands, we also supply this extra large version . Ide..